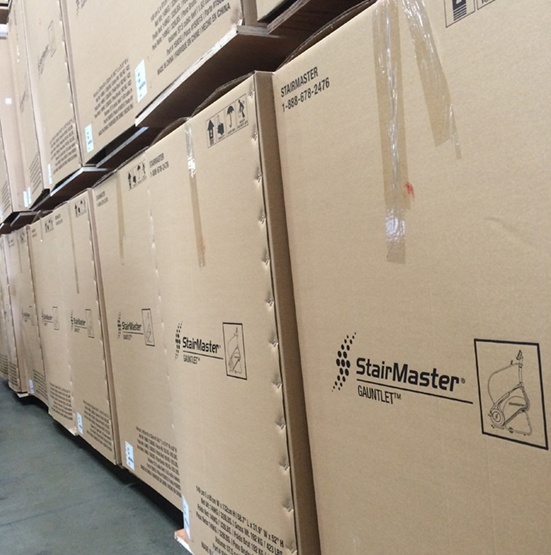 SHOP OUR STAIRMASTER LIQUIDATION EVENT! $4,895.00 Call Now For Blowout Price! 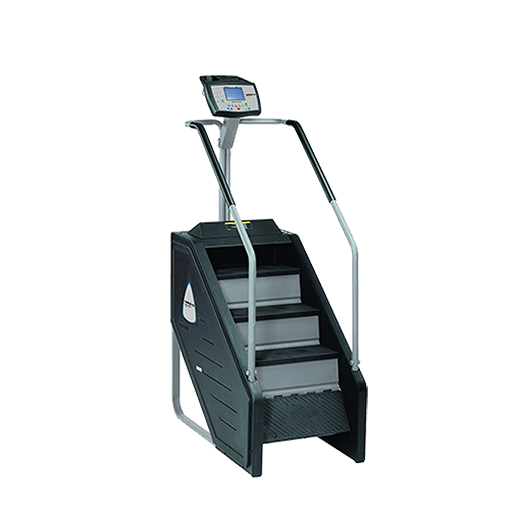 Stairmaster Stepmill 5 is an upgraded version of the coveted stepmill with enhanced functionality compared to others in the same category. This model offers a choice of three types of consoles, which are 10″ touch screen with TV tuner, 10″ touch screen without tuner, and LCD backlit display. The touch-screen console options have a new workout program called New Landmark Challenge that duplicates the climbing experience of certain landmarks such as Big Ben, Taj Mahal, Statue of Liberty, Transamerica Building and so on. All three consoles include CPAT Fireman fitness test, Multi-stage Fitness test, and WFI test. 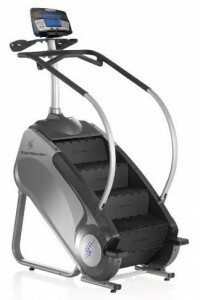 The Stairmaster 7000pt (Blue or Silver Screen) stepmill is the ideal machine for cardiovascular workouts. 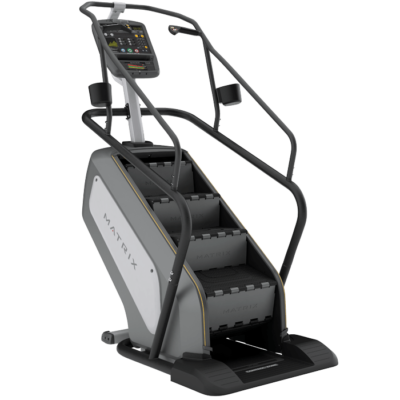 The machine has a revolving step platform that provides the experience of actually climbing a stairwell of a building or stadium. The height of the steps is 8 inches, and the user can control the stepping speed from 24 steps to 162 steps a minute. 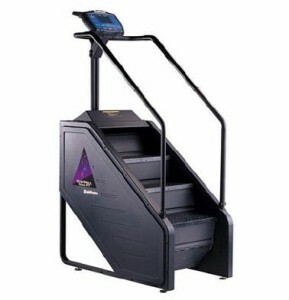 This stepmill comes with nine workout programs, including Heart Rate Zone trainer, and firefighter fitness test. These programs not only provide variety, but they also motivate users to improve their fitness levels. $2,599.00 Call Now For Blowout Price! 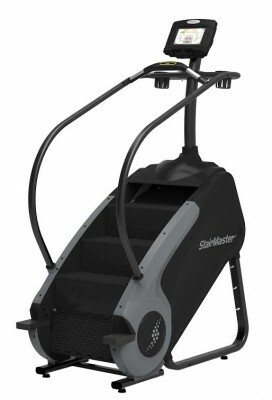 Beginning with the first stepping machine in 1983, StairMaster® has been a legendary name in the gym. Today the tradition continues with the Gauntlet®. Building on 30 years of experience and proven performance, the Gauntlet provides a superior combination of cardio and strength training in our most comfortable design ever. The machine features a deeper, wider step surface with durable, rust-free polypropylene construction and a range of console and accessory options. It’s a combination of quality and innovation delivering a workout that’s head and shoulders above anything else in the gym. Designed for correct user posture and comfort. With durable and rust free polypropylene construction. With black, modern color scheme. With stop button and contact Heart Rate. Allowing easier access to mount or dismount the machine. Dual over-sized water bottle holders near console that allow easy access without interfering with workout space. Looking for a used, demo, pre-owned or certified remanufactured stepmill? We have New and Pre-Owned Freeclimbers & Steppers. 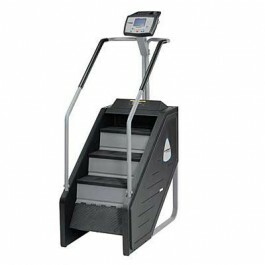 Stairmaster 7000pt Commercial Stepmill (Silver Screen) Call Now For Lowest Prices Guaranteed! 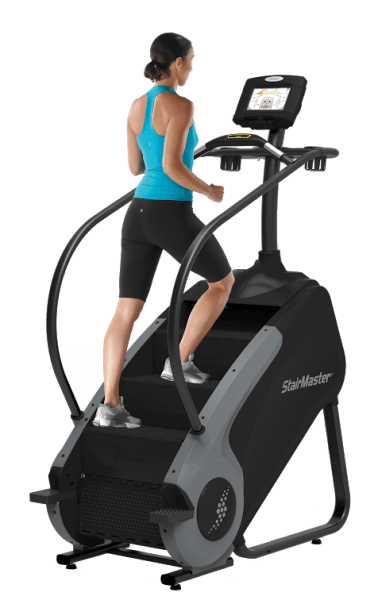 Stairmaster Commercial Stepmill 5. Call Now For Lowest Pricing Guaranteed! 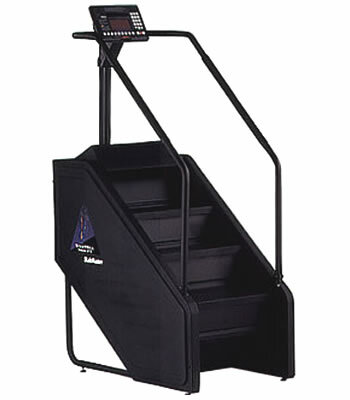 We stock more Stairmaster Stepmills & Gauntlets than anyone in the US! Whatever the application we are here to serve you. 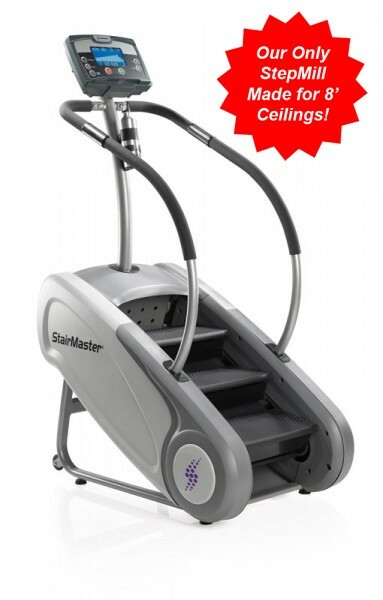 Gym Pros is proud to offer StairMaster Commercial grade products for all of your fitness needs. 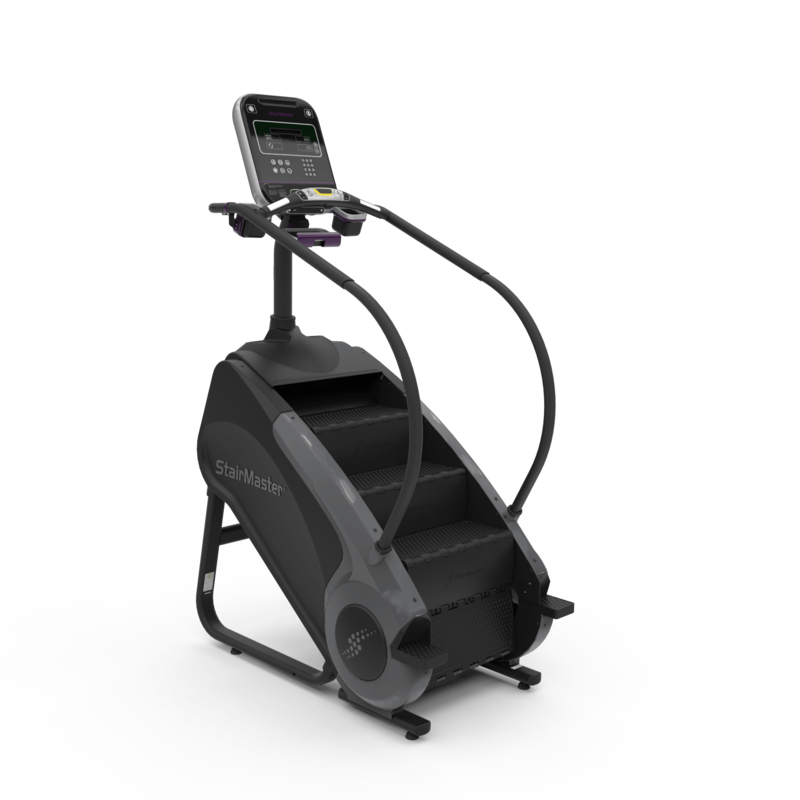 Stairmaster Stepmills provide users with a unique fitness experience, training and toning nearly every muscle group in the calf, thigh, and gluteal regions. All of our Stepmill machines are in excellent condition and are built to withstand even the toughest workouts. 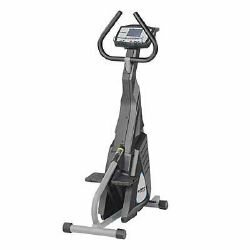 Have any questions about the StairMaster? Contact our fitness experts today!